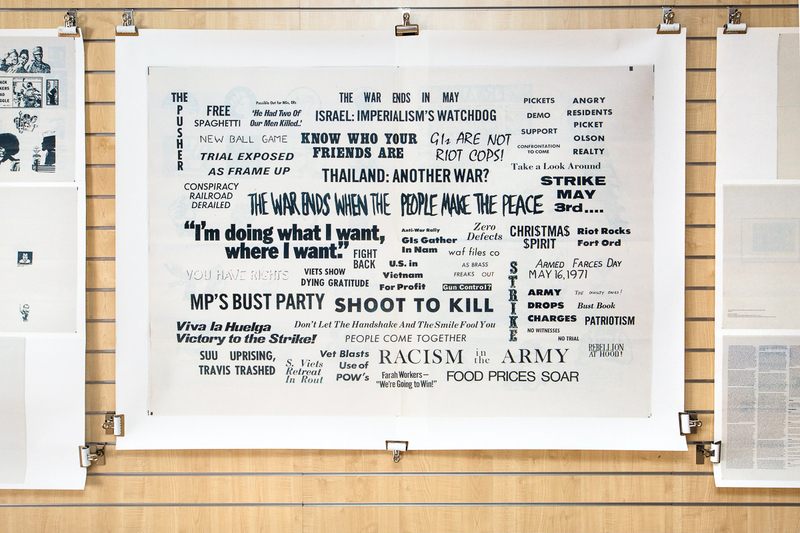 Originally displayed in London in October 2014, Media & Myth brings together works produced for the London College of Communication’s NAM project, which explored the role of the media in the Vietnam War, along with material from the Stanley Kubrick Archive, housed at the University of the Arts London. 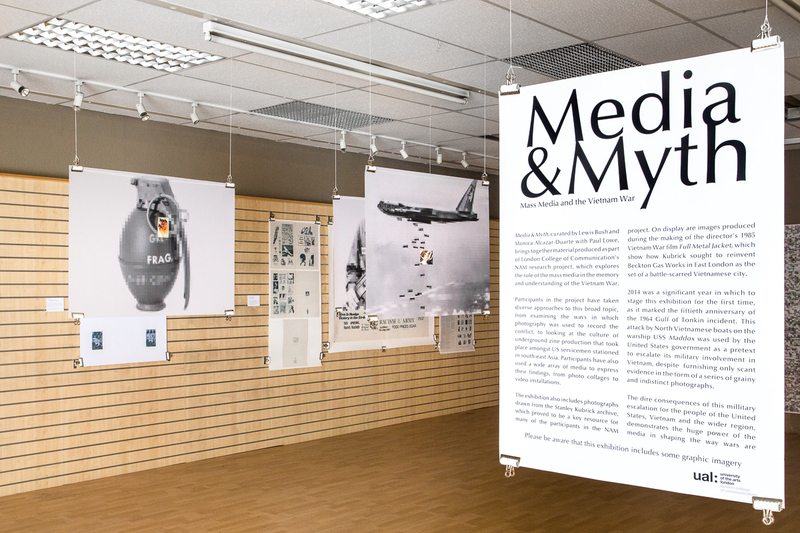 Using these diverse works, Media & Myth aims to explore and dispel some of the key narratives and myths surrounding the Vietnam war, and in the depiction of conflict more generally. 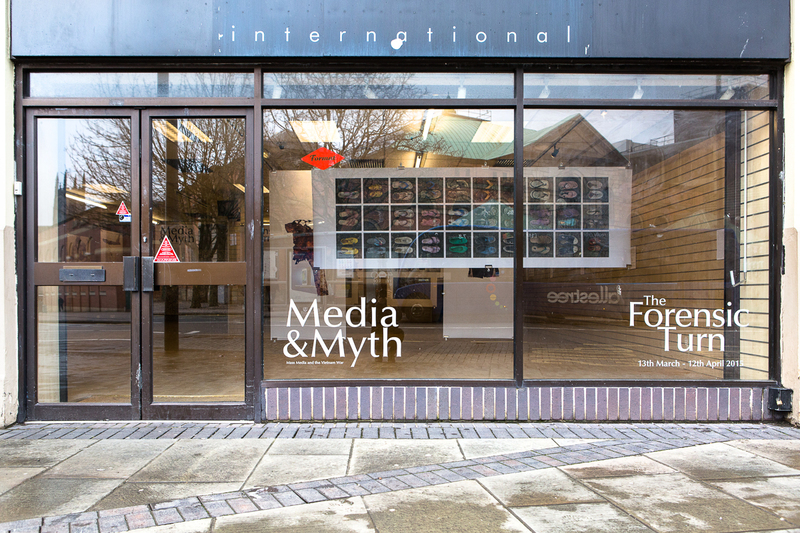 We were invited to re-stage the exhibition for FORMAT Festival 2015, which has a festival theme of ‘evidence’. 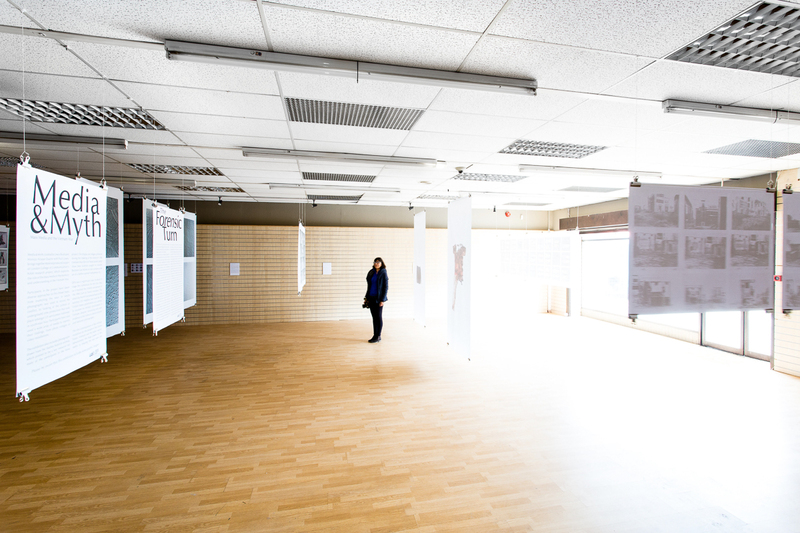 For the festival have completely re-conceived the design of the exhibition, basing it in an old mobile telephone shop on a busy shopping street in the centre of Derby and using commercial wall and ceiling mounts to hang the work away from the walls of the space. 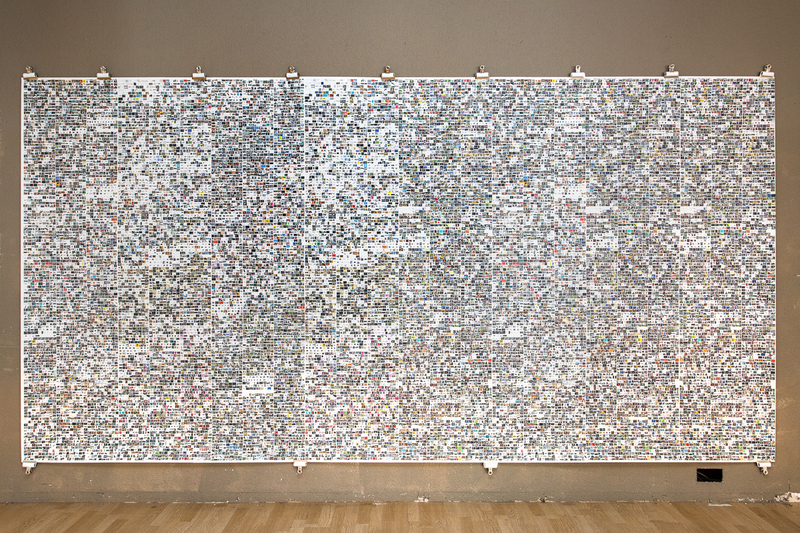 The result is a maze like arrangement of images which encourages viewers to explore the space and discover the works on show in any order they wish. 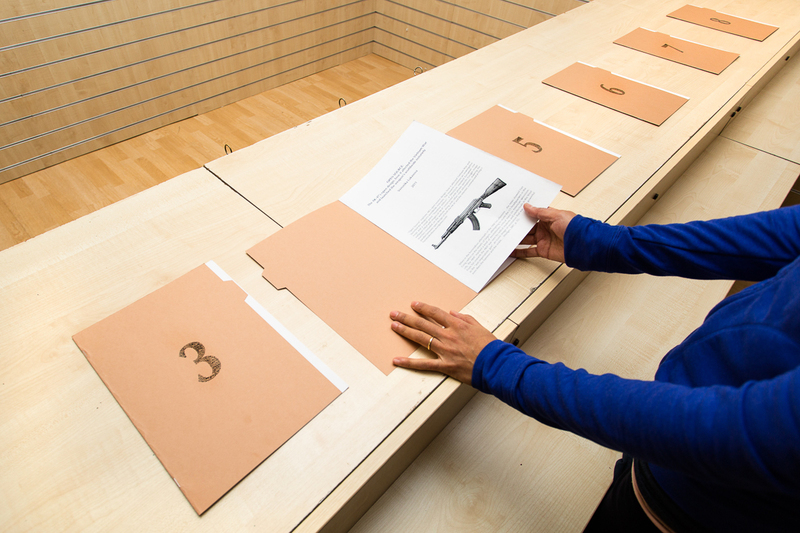 Curated by Monica Alcazar-Duarte and Lewis Bush, with Paul Lowe. 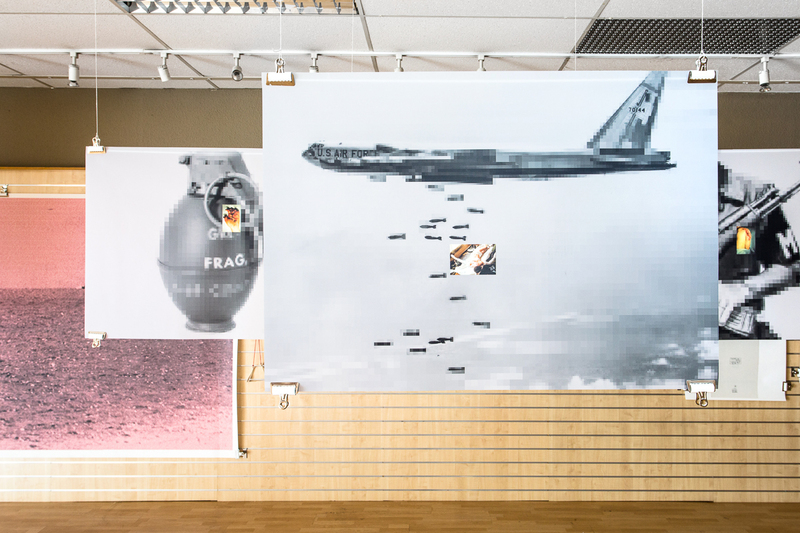 Participating artists: Jacob Balzani Lööv, Madeleine Corcoran, Cinzia D’Ambrosi, Veronika Lukasova, Amin Musa, Lewis Bush and Monica Alcazar-Duarte.